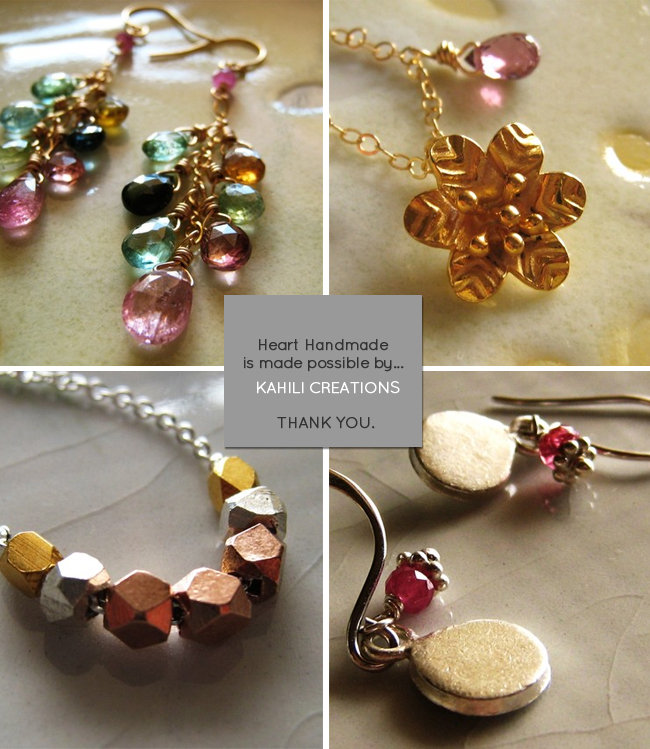 Kahili Creations specializes in delicate jewelry made with precious and semi-precious stones, Thai Karen and sterling silver, vermeil and gold-filled findings. Reader Special: Receive a free pair of Tiny Kula earrings. Write "Heart Handmade" in the message to seller during checkout.